Isaque Bahiense defeated Jaime Canuto at the final and secured the title. Also he defeated Lucas Barbosa by one advantage in the 85kg semifinal. 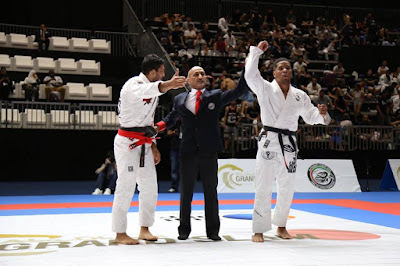 The most stacked division saw Isaque Bahiense have a flawless performance to win the gold medal. But if the referee had given Barbosa an advantage for his last-minute toehold attack, the score would have been even and would have gone to a referee's decision and potentially changing the outcome of the match. Bahiense went on to take gold in the division, while Barbosa took third. The final was against Jaime Canuto and the decision came down to the last seconds. With a 2-1 lead on advantages, Bahiense secured the title.